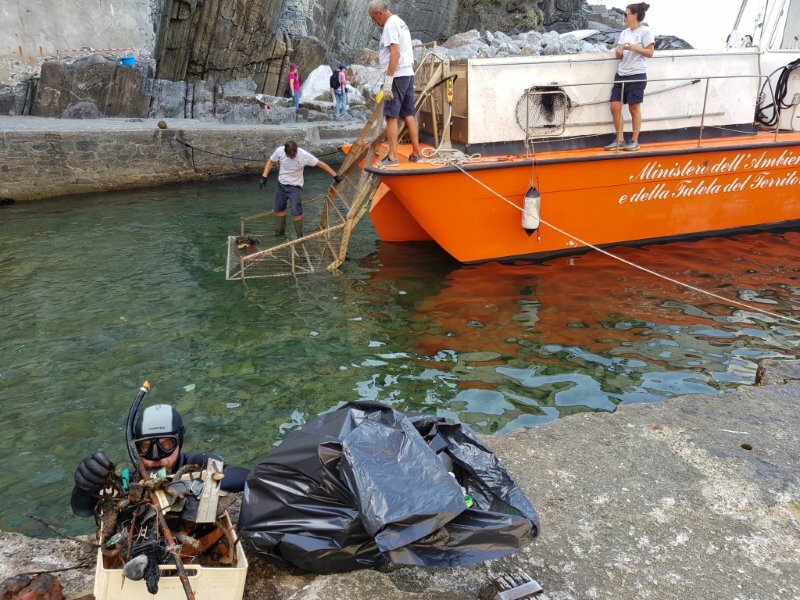 (Manarola - Sede Parco Cinque Terre, 20 August 2018) - The vessel, used for the collection and stowage of floating litter and supplied to Marine Protected Areas, continues its journey in stages in the Cinque Terre hamlets to collect waste, especially the bulkiest, and then dispose of it in a correct manner. Wednesday 8 and Thusday 9 August, starting at 9 am, the vessel was used to collect waste on the beach and at the bottom of Riomaggiore Marine Protected Areas. Even this year, the operators of the Marine Area will count on the support provided by residents, authorized diving, volunteers of Legambiente Association and other local associations. *The Calendar may vary according to marine weather conditions or other organisational reasons.